Truth be told, I probably won't buy Metroid: Other M when it's released (in North America) on Aug. 31. Sure, it looks good--much better than the three Metroid Prime titles, in my humble opinion--but it still doesn't appeal to me. Of course, I've played just two Metroid games in my entire life--the NES original and its SNES sequel. 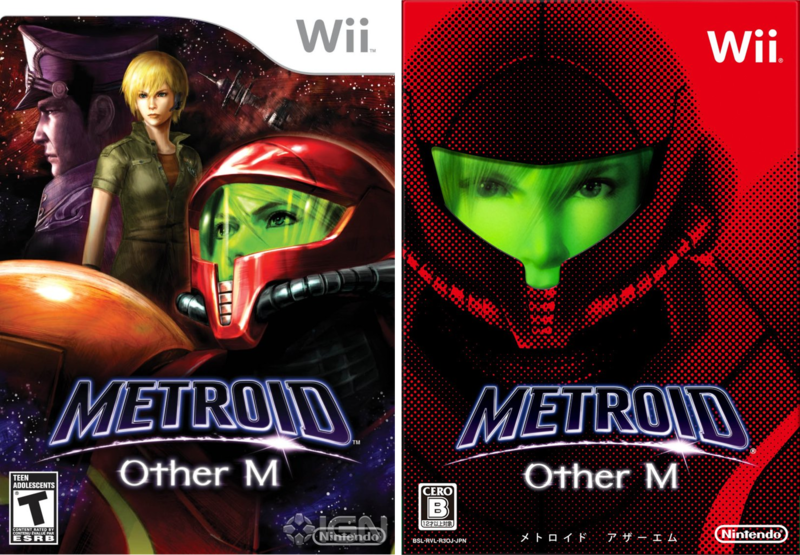 Still, my overall lack of interest in Metroid: Other M shouldn't preclude (you and) me from playing a little game of "which box art is better?" should it? The North American box art is on the left, while what is presumed to be the Japanese box art (some believe it's just a sleeve) is on the right. I don't know about you, but I much prefer the possible/probable Japanese cover. It's simple, yet striking--always a good combination. The North American cover, on the other hand, looks like a fan-made creation to my eyes. I'll have to agree with you on this one... I like the image of Samus on both covers, but the extra characters pasted into the background on the NA cover are like a poor homemade Windows wallpaper. That's exactly it, Zigfried! If the NA cover featured just Samus (in her suit), it would be fine, but the additional characters ruin it (for me). The one on the right is for me. Something simple says more than over crowded mess, after all Samus stands alone -so to speak. I love the sort of stippling effect in the Japanese cover! It's like a newspaper photo. It's definitely cool (the JP cover). So, is a game you can see yourself buying? Oh, I'm most definitely getting it.